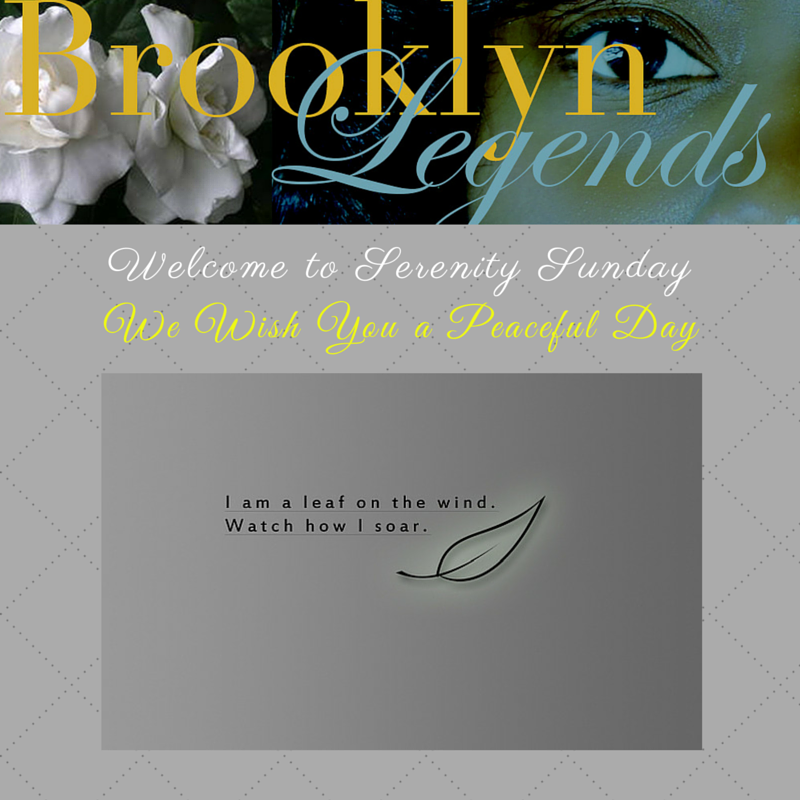 Welcome to Brooklyn Legends Serenity Sunday. As we begin another week, please accept my very best wishes for a peaceful day and a productive week. As I have journeyed through 2015, one thing that I have learned is I must have serenity in order to survive. These peaceful moments often include: sitting by the water and writing in my journal, reading magazines that focus on home decorating ideas and trends, taking walks so that I can enjoy Brooklyn’s beautiful homes, updating my playlist to include songs that encourage me to slow down and buying fresh flowers for my apartment and dessert from Magnolia’s Cupcakes in Manhattan and Juniors Bakery in downtown Brooklyn. While this may sound cliché, what I want most of all is to be happy and at peace. Of course my life is not this simple, but I enjoy creating periods of solitude every chance I get. So today I will embrace those things that lift my spirit, provide moments of joy and peace. I hope that you are able to do the same. Thank you for sharing your day with me.